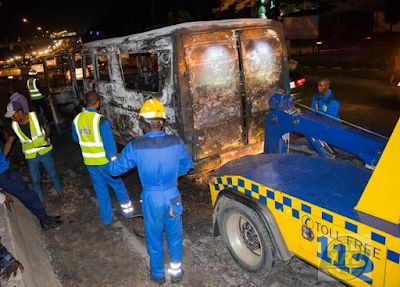 There was a fire incident involving a commercial passenger bus set for Onitsha on Wednesday, at Anthony B/stop bridge, Inward Gbagada, Oshodi, Lagos. However, there with no casualties as everyone was able to promptly exit the bus. 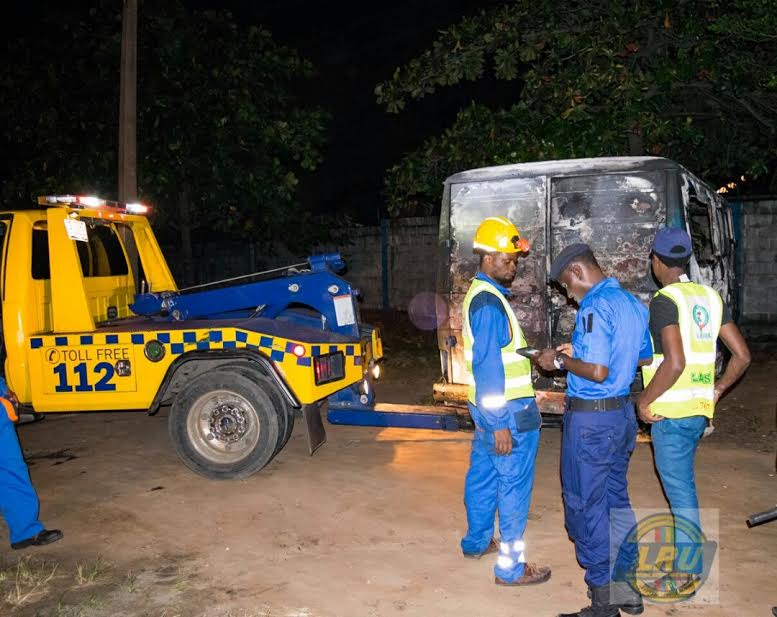 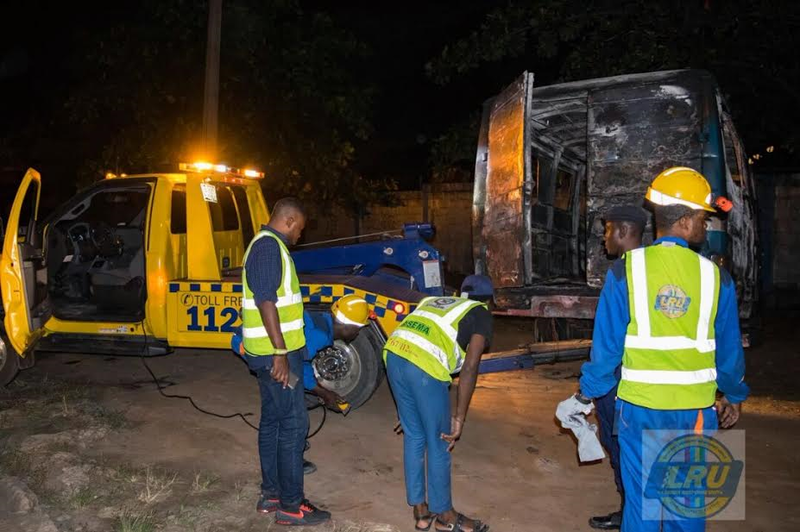 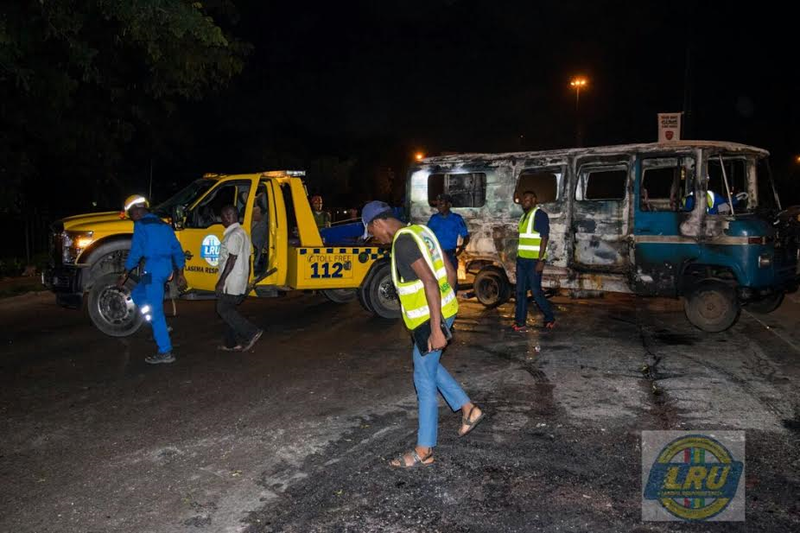 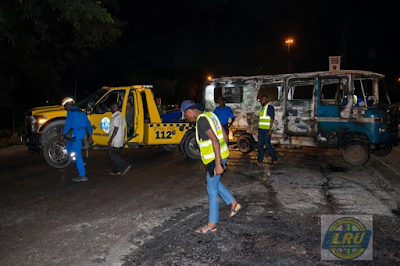 The Lagos State Emergency Management Agency response unit has since towed the bus. More photos after the cut.